With the judgement from the 12.May 1999 312 0 85/98 - Responsibility for Links - the regional court Hamburg decided, that the creation of links and therin content is also within the responsiblitiy of the link creator. This can be prevented, so the court, only by the fact that one dissociates oneself expressly from these contents. Since we do not have any influence on the organization and contents of the links, we hereby expressly dissociate ourselves from all contents of all links on this server and do not make ourselves the owners of such links and therin contents. This explanation applies to all available links on this server as well as to existing guest books and forums. Founded in 2004, Alaturka.Info™ Portal covers travel destinations, journey, culture, history, culinary, real estate, health and beauty, sports and lives in Turkey. It focuses especially on cultural events in regions. Alaturka.Info™ culture and information portal offers information about Turkey, which is important for foreigners and native people, in Turkish, English and German languages. Currently, 42 percent of all visitors are the local users of Alaturka.Info portal. We think that this is due to the fact that interest on travel is on the rise. However, the interest on the cultural and multi-layered of Little Asia also plays an important role. Currently, 5.000 – 10.000 visitors connect to our site on-line every day, and these visitors exhibit an active interest to what is going on at Alaturka.Info portal (2010 year numbers: 2.965.316 individual visitors). With the number of visitors at Alaturka.Info portal increasing each day, the requirements for new content, new articles for natives and holiday-makers and new cultural, art and sporting activities also increase as well. Therefore, we decided to expand the portal by travelling to new cultural locations which were under-recognized until today, preparing and publishing new content and subjects which contributes to cultural intimacy of individuals and societies. In order to expand the contents, 12 renowned, international level authors are making contributions. In addition to Alaturka.Info portal, which is aware of creating awareness with its contributions to community and environment, we also responded to wishes of many of our readers who wanted a "printed" publication in their hands and started to publish "Alaturka Journal®" culture and travel magazine nearly 2 years ago. Our principle about three different languages also applies here; and naturally the main distribution is in Turkey and it is prepared for Turkish enthusiasts. However, the number of subscribers in European countries is continually rising. Alaturka Journal® Magazine concentrates on destinations, archaeology, cultures, civilizations and history of Asia Minor. The magazine is a biannual journal based in Turkey and provides information in three languages; Turkish, English and German. It has national and international distribution. Please accompany us on this virtual trip to Turkey and experience a country which has been shaped and moulded by some thousand years of history. Alaturka Journal Magazine concentrates on destinations, archaeology, cultures, civilizations and history of Asia Minor. We would like to share with you the beauty of what Turkey has to offer which we have enjoyed so much over the years. We at the “Alaturka.Info Team" hope that this magazine will be a helpful guide for you and we will try in future Issues to give you as much information as possible on various topics. Sometimes the beauty is right in front of your eyes, you just need to learn how to find it. This policy covers how www.alaturka.info treats personal information that www.alaturka.info collects and receives. Personal information is information about you that is personally identifiable like your name, address, email address, or phone number, and that is not otherwise publicly available. This policy does not apply to the practices of companies that www.alaturka.info does not own or control, or to people that www.alaturka.info does not employ or manage. In addition, some companies that www.alaturka.info has acquired have their own, pre existing privacy policies which may be viewed on our acquired companies page. www.alaturka.info participates in the Safe Harbour program developed by the European Union. www.alaturka.info collects personal information when you register in www.alaturka.info . When you register we ask for information such as your name, email address, birth date, gender, ZIP code, occupation, industry, and personal interests. For some financial products and services we might also ask for your address, Social Security number, and information about your assets. When you register with www.alaturka.info and sign in to our services, you are not anonymous to us. www.alaturka.info automatically receives and records information on our server logs from your browser, including your IP address and the page you request. www.alaturka.info uses information for the following general purposes: to customize the advertising and content you see, full fill your requests for products and services, improve our services, contact you, conduct research, and provide anonymous reporting for internal and external clients. www.alaturka.info does not rent, sell, or share personal information about you with other people or non-affiliated companies except to provide products or services you've requested, when we have your permission. The Marubi National Museum of Photography is glad to invite you at the opening of the exhibition "Marubi Archive. The photographic ritual" in La Triennale di Milano. The second day at the outdoor fair in Friedrichshafen lead to another interesting meeting with the company GentleTent from Vienna, who had just been awarded the Industry Award for their innovative roof tent GT-Roof the evening before. The bicycle and outdoor exhibition abf Hannover, from 31.01. to 4.02.2018 on the Hannover Fairgrounds, is North Germany's largest leisure fair. Hundreds of bottles of old antidepressants and heart medicines were found during excavations in Turkey. Fossil sharks and rays - from Mödling! Fabio Colonna was able to show as early as in 1616, in his treatise De Glossopetris Dissertatio, that the alleged adversary tongues are actually shark teeth. Urtësi sot e mot (Wisdom today and forever): We find the words which give character to Lala Meredith-Vula’s exhibition at the Marubi National Museum of Photography in Shkodra on a banner, in a photograph, that the Albanian-English artist made in Vranjevc, Prishtina on 4th May 1990. Experience the fascination of classic cars "Rallye Historiale"
Due to the great success, we will again have a special test at the ÖAMTC driving technology center this year. Start and finish with a large vehicle presentation at the BRUNO event center will be back in Brunn am Gebirge in 2017. The invention of photography by Nicéphore Niépce in 1825 through the process of heliography pushed early photographers to perfect their techniques. Not long after its creation, first practices of manipulation followed. 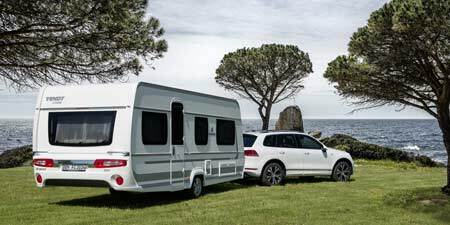 Motor homes are motor vehicles with an interior fitting suitable for the home, so at least the official classification of these vehicles is described, whereby the vehicle base is usually a mini van. The Tourism Fair CMT Stuttgart is the world's largest trade fair for tourism and leisure, and the international response is correspondingly high. If we talk of a modern gymnasium (high school) today, we usually have a higher education center in mind, which is attended by students from elementary school to high school graduation. Basilica - a type of construction invented by the Greek? Again and again questions or whole texts about cultural and ancient history of the Greeks and Romans reach us, sometimes they are surprising. Once a clearly recognizable basilica with an apse suddenly becomes a Greek gymnasium, because one probably does not want the rather ecclesiastical character of the basilica, then again it is an amphitheater, a bouleuterion and stadiums that are confusingly described as to be the same.